And here is certainly the most charming restaurant in Senegal: new modern kitchen, new chef, new buildings, and all in a delightful setting at the water's edge with sneaky crocodiles, monkeys who are watching you while large African mammals come and drink water. And… delight of delights ...: it is the only restaurant where you can take a nap after a good meal! We are open for lunch every day and night by appointment ... with wifi. 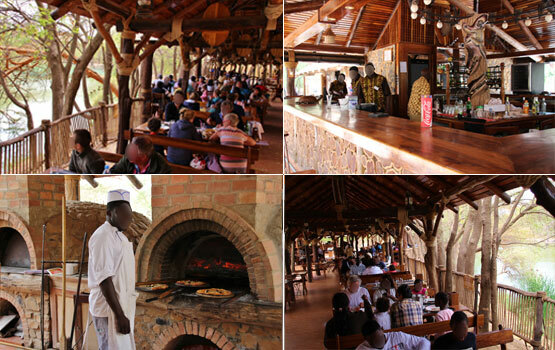 Oven-baked pizzas, grill over an open fire, senegalese dishes, fine food and lots of good things! We also organize theme parties, weddings, banquets, conferences.